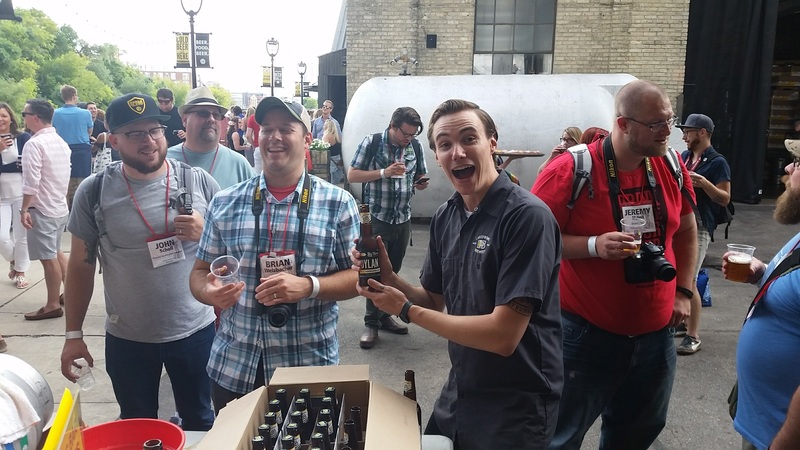 There is a Beer Bloggers and Writers Conference? In less than two weeks, I depart for Loudoun Country Virginia to experience my second Beer Bloggers and Writers Conference. I am as giddy as a schoolboy the night before summer camp. After all the fun I had last summer in Milwaukee at the conference and the Post-Excursion in Grand Rapids, I told myself that I have to go to this every year. Now, as I am seeing the waves of articles about the conference, I am getting tremendously excited. I know what you are thinking. What happens when a bunch of beer bloggers meet-up? Is it just a big beer tasting with people feverishly debating which tropical fruits are coming through in the aroma of the beer? Well, that is a big part of it, but it is also the most fun a beer geek can have. Imagine 150 people in one place and all passionate about the same thing. That is the Beer Bloggers and Writers Conference. You have voices that cover the entire United States and Canada. This year there will even be a chap from across the pond! 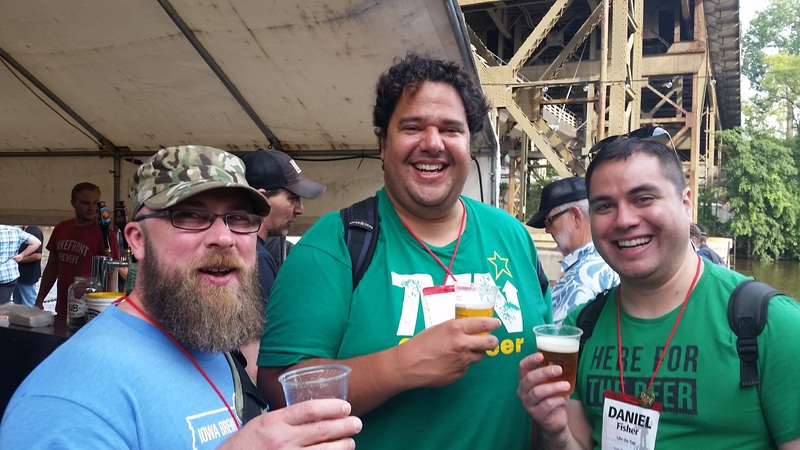 We get together and share our stories and tips on how better to spread the gospel of beer. So, You Just Drink In The Hotel Lobby The Whole Time? It is a little bit more structured than a huge bottle share. 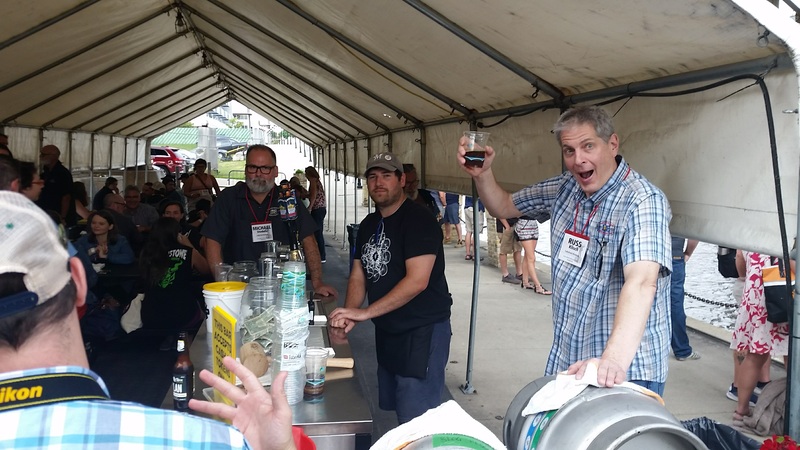 There are scads of education sessions, beer tours, guided tastings, more beer tours, a Brewers Association state of beer presentation, a keynote address from Dogfish Head’s Sam Calagione, and speed blogging. 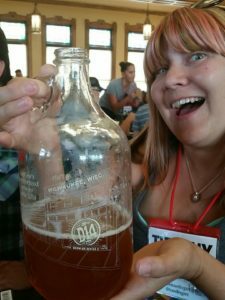 In fact, here are the 3 things that I am most excited about at this year’s Beer Bloggers and Writers Conference! What is speed blogging, you ask? Akin to speed dating, speed blogging consists of 12 5-minute presentations on a beer made by either a brewery or sales rep. You sit at tables with about 10 bloggers and you have 5 minutes to tweet, post, FB Live, Instagram, or send a carrier pigeon out the window about the beer you are drinking. You repeat this process 12 times, and you get some extremely unique content. It lasts for an hour and the time definitely flies by. Last year’s speed blogging was so much fun because I was at the same table as Brewhaus Media, 2BeerGuys, Life on Tap, and Traveling Pint. We had almost too much fun. I can only imagine the shenanigans that will unfold this year. The speed blogging was also where I got to meet a bunch of really fun people and I think that is why it left such an impression on me. That and the beers were coming fast and furious and it was really challenging to keep coming up with different things to say about each one. It wouldn’t be a worthwhile conference if you didn’t come away with some great ideas and new insights about blogging. This year, I am excited to attend Minnesota’s very own Paige Latham Didora’s session on how to effectively write critical feedback. Paige has an amazing blog called Alcohol By Volume. Her palate rivals that of anyone I have met and she writes with an engaging and accessible style. Paige tells it like it is with expertly crafted critical feedback for breweries. I know I will learn a ton from her session. I am also going to be taking in the panel discussion on Podcasting featuring Brian Aldrich, Liz Murphy, and moderated by Sean Jansen. Maybe you know that I have been producing my own podcast, A One Pint Stand, and want to find ways to make it better. I listen to a lot of beer podcasts, but it never hurts to learn more about how to improve. I am looking to find ways to help get my podcast into more listeners’ ears and on their podcast queues. 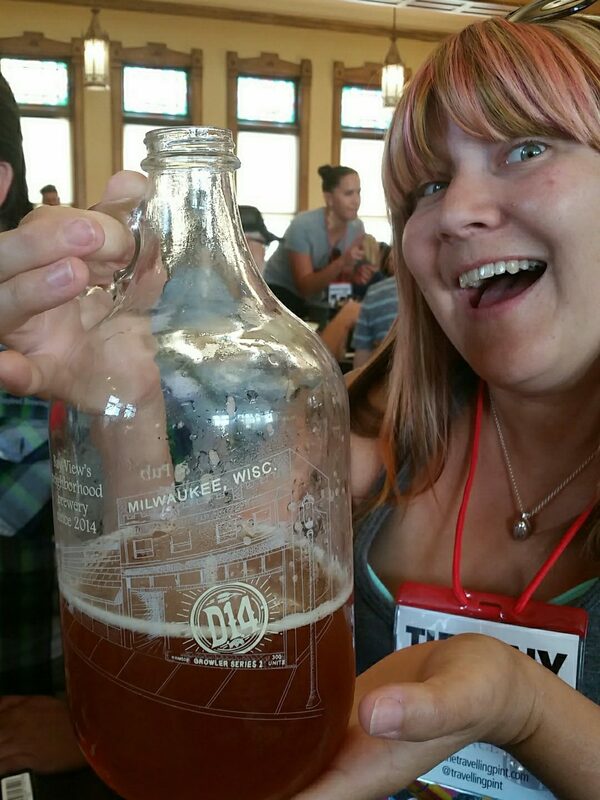 Last year in Milwaukee, I found out quickly that the bloggers and writers love to have fun. I am a people person, but I still was a bit nervous attending last year’s conference and only knowing a few people. The first night, there was a social gathering and I wound up meeting several really cool people. Before I knew it, I was galavanting with Paige and Rick from MN and being introduced to Huck from Huck’s Beer Buzz and Jeff and Chris Estes from Bottle Makes Three. We went to a speakeasy where Huck baffled me with his exponential knowledge of Bitcoin. Then we wound up at a neighborhood bar and drank the night away. The next morning, the conference sessions began and my rookie nerves were gone. The aforementioned speed blogging went a long way in getting me introduced to a great group of folks. Then, there was the gathering at the Sugar Maple in Milwaukee to bond with Fritz from Bell’s, Daniel from Life On Tap, and Aaron from Brewhaus Media. The epic Uber ride where we laughed so hard about random things was the perfect nightcap. By the time we got to the tour at Lakefront Brewing, it felt like we had all known each other for years. 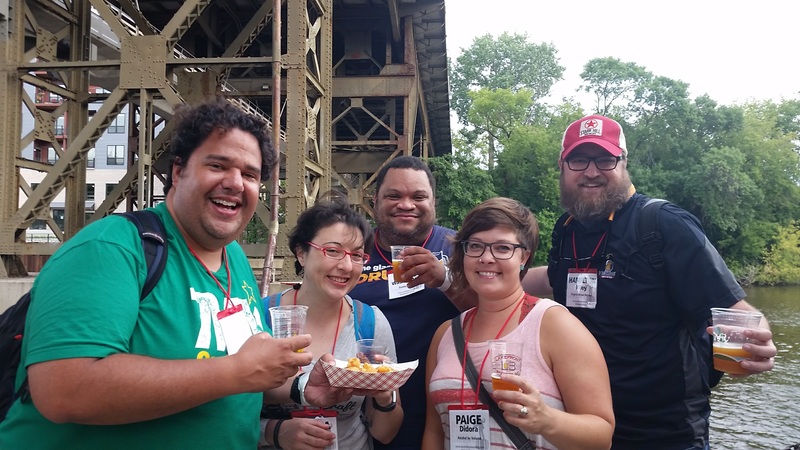 The laughs, smiles, and FREE cheese curds all provided enough social lubrication for everyone. I met David Bardallis (AnnArborBeer), Greg Washington (Daddy Porter), Sean Jansen (2BeerGuys), Jeremy Hylen (BreweryFinder), and Sanjay Reddy (TheNotSoProfessionalBeerBlog). The evening continued with tour stops at Good City Brewing and Brenner Brewing. Some of us even ended up finishing the night with some epic karaoke, thanks to Carla Lauter, aka The Beer Babe. Friendships were cemented, beers were consumed, and I made a vow to never miss another Beer Bloggers and Writers Conference. This year’s conference will hopefully live up to the high bar that Milwaukee set last year. I will not have the deer-in-the-headlights rookie butterflies this year. I will hit the social pedal to the metal from the first hour and try to network with as many passionate and fun people as possible. 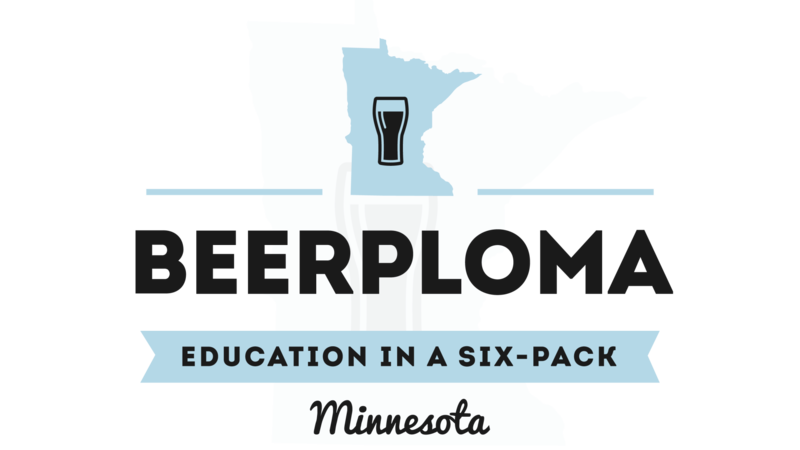 It never hurts to know beer experts from all corners of the US. I also have some clear goals for what I want to get out of this conference to help me become a better beer writer and ambassador. I am sure that you will see a live video or two chronicling my trip.